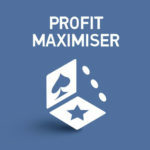 In this Profit Maximiser review, we will be looking at features, pros and cons of this matched betting platform to help you decide if this service is the right choice for you. 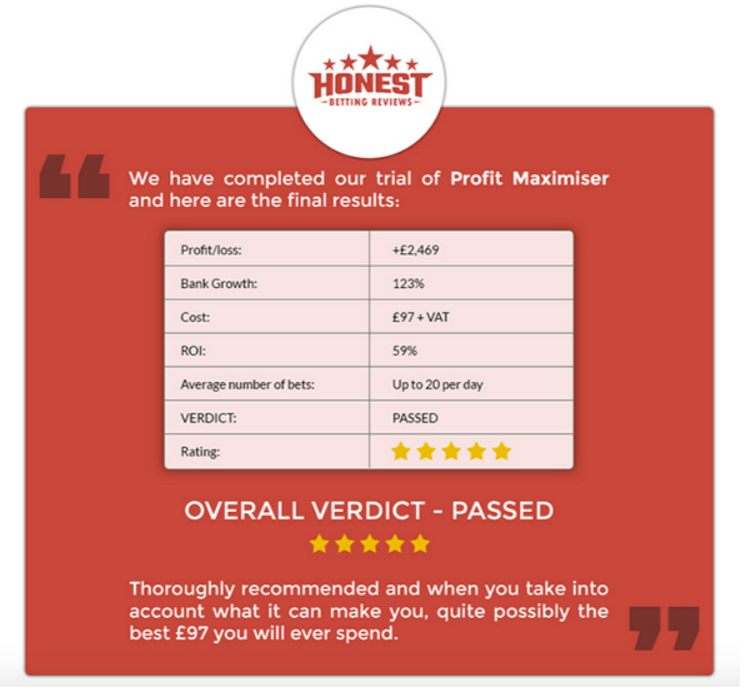 Profit Maximiser is an outstanding matched betting platform. This service shows you how you can profit from free bets and bonuses on online betting sites. Profit Maximiser also teaches you some excellent techniques on how to bet through bingo bonuses and casino bonuses for a long term gain in profits. Free bets means Free Money! 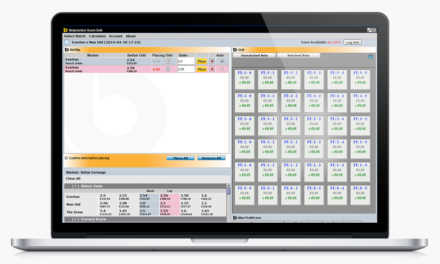 Although this Profit Maximiser centers on making money using online bookmakers, it is not really a betting service. This is because you’re profiting out of free bets since you are covering all possible end results. This is called a betting exchange. You cannot lose money with betting exchange. But bingo and casino offers are a little different from free bets since you can have losses in the short term. In the long run, you will eventually make a lot of profits. Mike Cruickshank launched Profit Maximiser back in 2013. This service is his second matched betting platform after Bonus Bagging. His first platform is different from Profit Maximiser because Bonus Bagging focuses on profiting of small bookmaker bonuses. 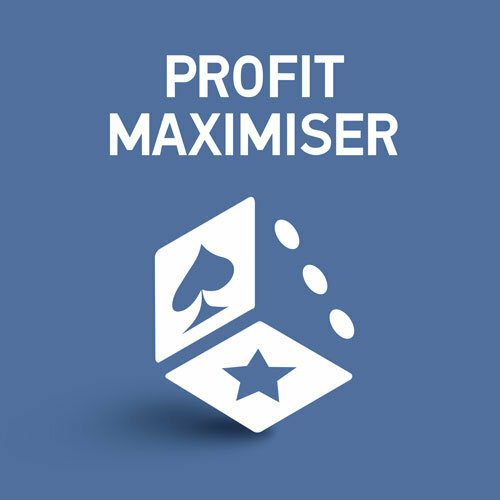 Profit Maximiser is an even better platform because it goes for the best bookmakers, bingo and casino offers. 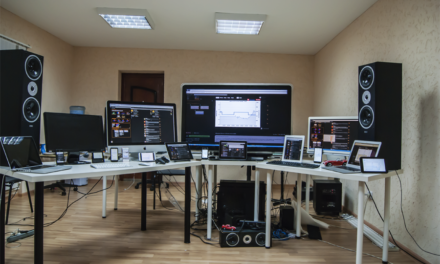 Mike Cruickshank has created fifteen pieces of betting software since 2010 making him an expert in the matched betting field. How much does Profit Maximiser cost? When you sign up for Profit Maximiser, you can try the platform out for two weeks for just £1. After the trial period ends, you will pay £96 plus taxes every year to get an access to the platform. Does Profit Maximiser have a refund policy? You can get all of your money back within thirty days of purchasing the product at any time you want. What is covered in the Profit Maximiser membership? This service has noticeably improved since it launched in 2013. The primary bookmaker training teaches you how to profit from the initial online bookmakers offers. The basic training is a mix of both written guides and videos. 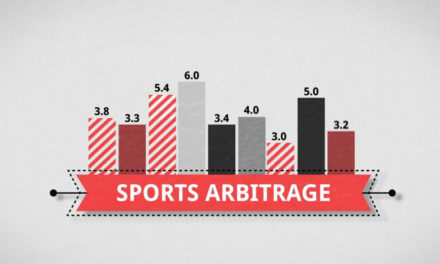 There are more than forty betting website offers to profit from here. After you get a basic understanding of the strategies, you should try out the offers first. Just like the online bookmakers, online casinos have great offers that have a lot of profits. The basic casino training teaches you how to profit without any risks and how to profit from low-risks offers as well. 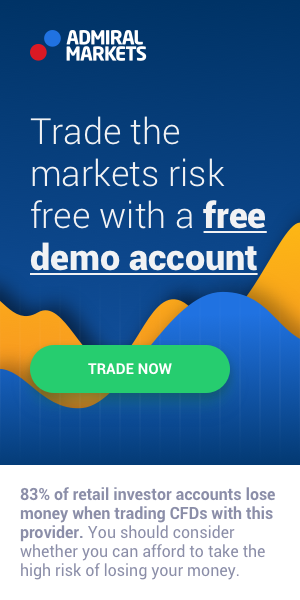 You can try out the risk-free offers, but it is highly recommended that you wait until your profit reaches about £500 before trying out the low-risk bonuses. The bookmaker accounts that you have opened on the platform have excellent sources of continuous profits. Mike Cruickshank has provided a collection of strategy guides that show you how to profit from bookmakers’ current offers. The platform also makes it easier by displaying a list of offers that you can utilize every day. This excellent feature will definitely help you earn consistent profits. The platform has a very vast variety of casino offers that have amazing profits if you play through them in a specific way. 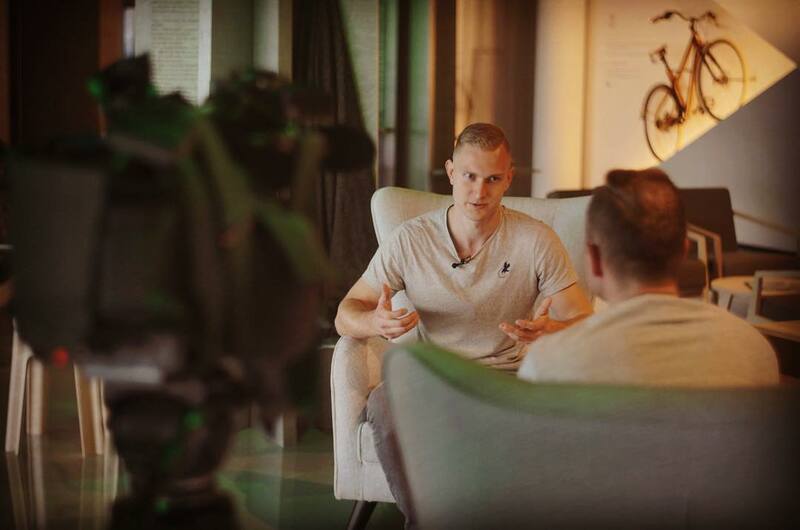 The offers are not really for everyone since it has huge risks and it’s not recommended if you have not been a member of Profit Maximiser for more than a year. If you have any problems with the platform or have any questions, you can either directly email Mike Cruickshank or go over to the private Facebook group. If you have very specific questions about the platform and its services, it is better just to email Mike directly. If not, you can just post your question on the private Facebook group where the rest of the members would be more than happy to help you out. The Facebook Group has about 7000 members currently. 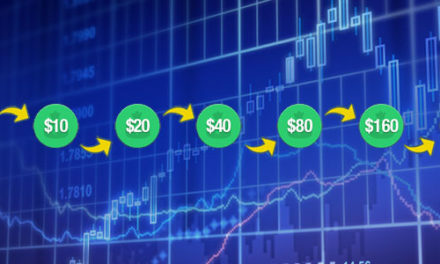 There are also specific threads in the group where the members focus on strategies of winning more bets as well as getting high-value offers. Yes, Profit Maximiser absolutely works! This platform is a great way to earn money and achieve financial independence. You will also learn great strategy tips from its well-written guides that will undoubtedly help you out a lot in the online betting world. 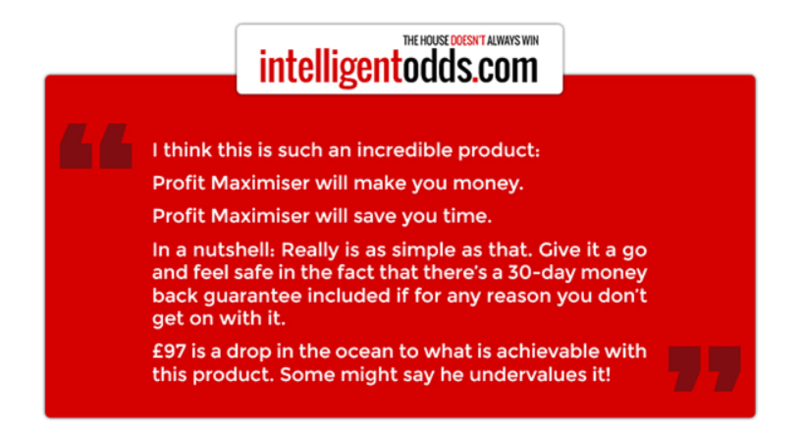 How much money can you make using Profit Maximiser? The amount of money you can make using Profit Maximisers is entirely up to you. It ultimately depends on how much work an effort you put in. The first month after you join the platform should be used for learning about the strategies as you make some money in the process. After you learn the betting strategies, you can easily make more than £1,000 from the online bookmaker’s first offers and more than £500 per month from their continuous promotions. 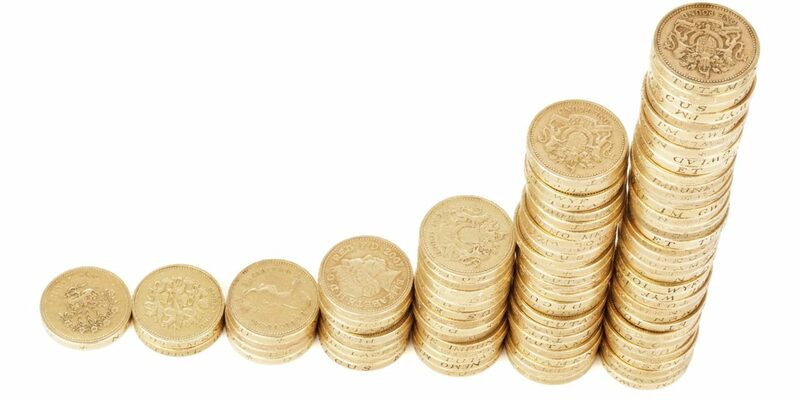 If you stick to the basics, you will easily earn more than £60 a week on average. It is difficult to know how much you can make with the Casino offers due to the varying profits. But you can make an average of more than £100 although you might make a loss in some months. Some current members are making more than £10,000 a month. There are even members who have won offers that are more than £100,000. The biggest win on the platform is currently at £595,326.71. Risk-free profit strategies are delivered directly to you. May seem overwhelming at first. Profit Maximiser is an absolutely fantastic matched betting platform for taking advantage of Casino and Sports book bonuses! If you are over 18 years old, live in the U.K or Ireland (you can do matched betting at other countries too, but this service is made specially for those two countries), and would like to make extra money online, then Profit Maximiser is an excellent option for you.